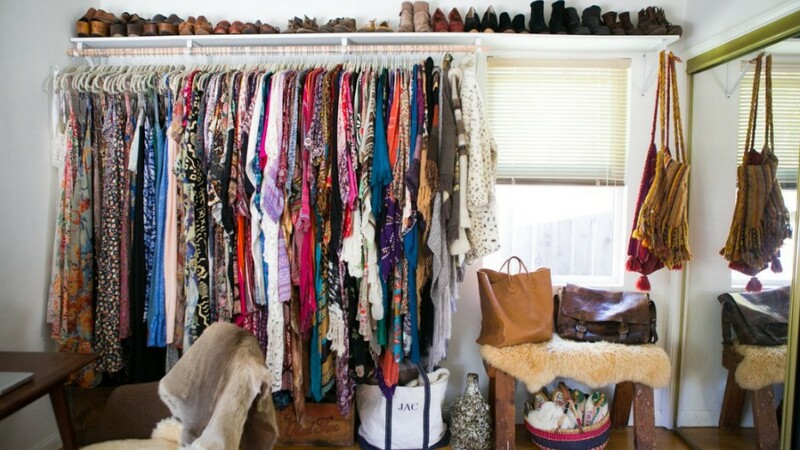 A true fashion enthusiast knows how to dress up her wardrobe, too! Whether you own a standard cabinet or a full-blown walk-in wardrobe, if you think about it, closets are nothing but storage. However, this is not an excuse to keep it dull and plain—especially if it leans on the smaller side of wardrobes. After all, whatever it lacks in space, it can make up for in personality. As long as you have good lighting in your closet, painting your shelves in a bright color or working with patterns—depending on your aesthetic—is the best way to showcase your favorite pieces. It's also a great way to add an unexpected pop of color into the room. 2. Use tension rods to display extra clothing. Take your cue from your favorite fashion boutique and install additional rods underneath the built-in ones in your closet. This is a wonderful solution if you want to see everything you have without having to rummage through piles of folded clothes. 3. Display a mannequin hanger. Do you have a new designer dress you want everyone to see? Hanging it up on a ratty old hanger won't cut it. Take it to the next level by dressing a mannequin complete with accessories. As a bonus, it acts as a nice statement piece for your closet, too! Find affordable hangers on eBay. Turn the bottom of your closet into a little shoe condo with multi-storey shoe storage! You can also place these on top of a shelf to make the most of your space. If you don't own too many pairs, lining them up should do the trick. 5. Add style and function with mirrors. While adding oversized pieces is a surefire way to glam up a closet, you can play around with other ideas using mirrors, too. Break down reflections by putting up different-sized mirrors for an interesting wall gallery that is also great for checking outfits or your makeup. 6. Turn it into a makeshift hangout. 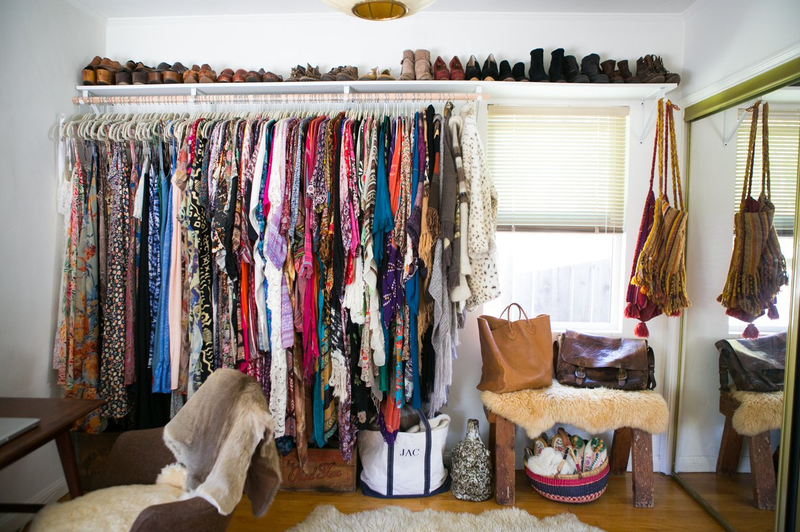 Closets don't have to be strictly for clothes and shoes—for those who love dressing up, it should be your happy place! Feel free to add in fun elements like design books, indoor plants and other decor pieces that inspire to you dress well. 7. Put up a mood board to keep you inspired. Instead of using a traditional corkboard which cracks, use a wire mesh to create a mood board and to keep outfit ideas at hand. Tear out inspiring pegs from magazines or print out photos of your favorite #ootds as reference for days when you can't think of anything to wear. 8. Keep stacks intact with shelf dividers. Shelf dividers create organization where there is none. These handy closet staples also help create taller stacks in smaller shelves. The best part? You no longer have to worry that your pile will topple over when you pull something from underneath. Find affordable display cases at StorageMart PH. This story is based on a previously published article from December 2016. Main photo by Sunrise Never Ends.